Midwifery in Ghana was going to be different, I knew that. I knew I needed to go in with an open mind. I was fortunate to have placements on three different labour wards including one at the private Hospital. One thing I have learnt is that asking questions and being persistent about doing so earns you some respect and an appreciation of the knowledge of the Midwives here. In theory the Midwives and student midwives are very skilled and knowledgeable. 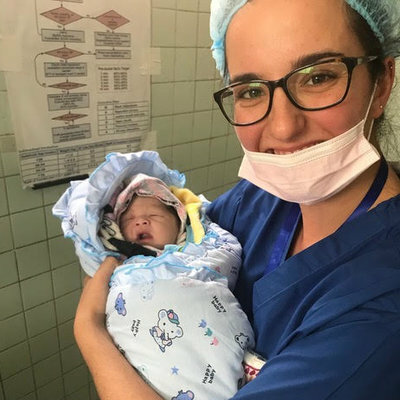 In practice I feared that the culture of hospital life and the lack of particular resources and medications didn’t allow a lot of clinical practice to be utilised. My biggest upset was pain control, I was in awe of every woman I saw labouring and delivered as they did it with no analgesia and without a birthing partner. It was sometimes very hard to watch too because I know how easy it is to make someone more comfortable at home or have the support necessary to help them through one of the most extraordinary moments of their lives. 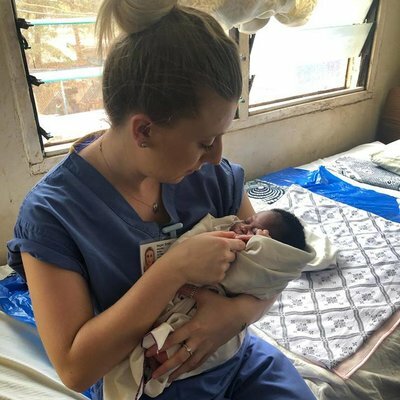 I have thoroughly enjoyed myself, thoroughly enjoyed being able to deliver babies in Ghana and enjoyed learning from very experienced Midwives. I was very fortunate to be in a house with some wonderful people. It really helps to talk about your stories and experiences on placement, particular practices are extremely difficult to watch and deal with especially when you are unable to do anything. I needed this experience to take home with me. 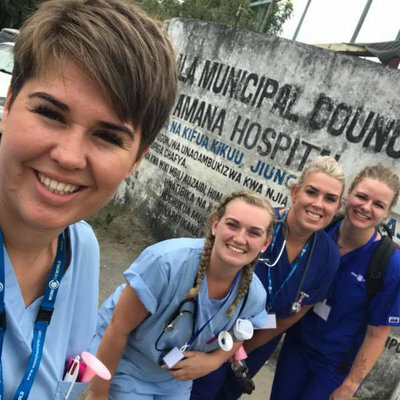 My advice to future midwives’ would be to treat this experience just like a practice placement at home, turn up, ask questions and communicate with the Work the World organisers as they will assist if you want an experience outside of your particular placement i.e. I went to the HIV clinic for a morning.